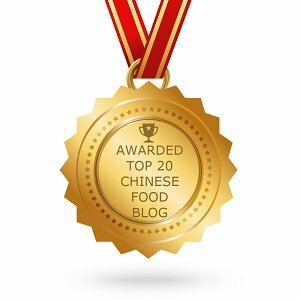 Love Chinese chicken dish, maybe you will be interested in our home cooking for Chinese chicken drumsticks, hot spicy with green chillies and garlic. Simple, easy and tasty. Recently I just checked those cooking videos we took in this year summer holiday and found this dish, my father’s home cooking for Chinese spicy chicken drumsticks. 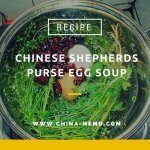 It just reminds me that how easy that you can a Chinese chicken dish. I used to make a chicken dish called red cooked chicken with diet coke, which takes more than half hour or 40 minutes as it needs a slow cooking. 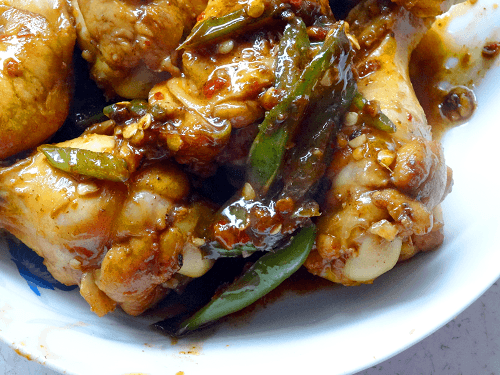 Unlike those red cooked dishes, this chicken drumstick can be done rather quickly. But I guess part of reasons was because in my parent’s kitchen, they use the gas cooker, which guarantees a quick and big fire for cooking. If you like me, only have the electrical cooker, the cooking time is supposed to be longer. 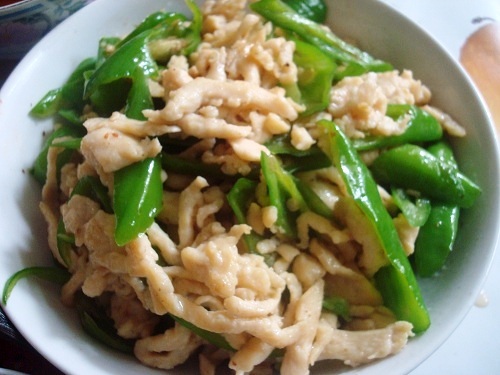 Seasoned by green chillies and garlic, this dish is spicy and hot, full of flavour. • Heat up the wok, add oil and wait till high heat. 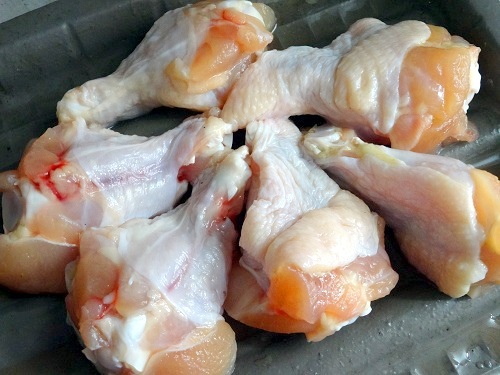 Add chicken drumsticks to fry until the meat surface turns to white. Turn around to fry as well. 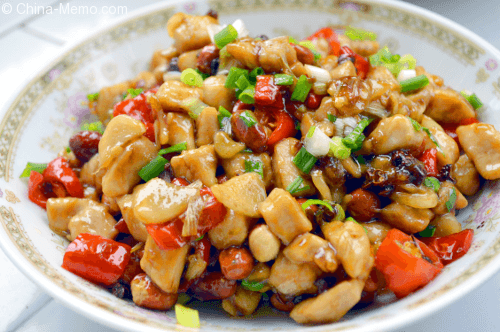 • Once the meat is fried, add the dark soy sauce to give the meat a brown colour. Then splash the light soy sauce which gives the meat more flavour. 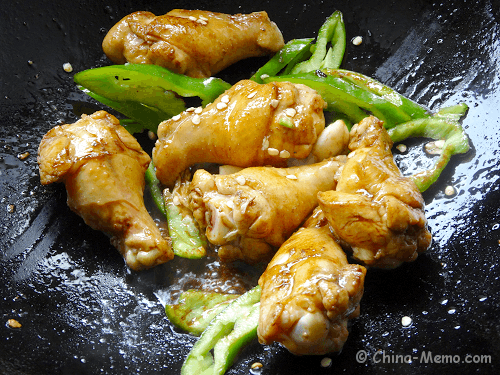 • Keep stir-frying the chicken drumsticks for about 5 minutes. Add the green chillies and garlic. Fry for several minutes more till well mix with chicken. 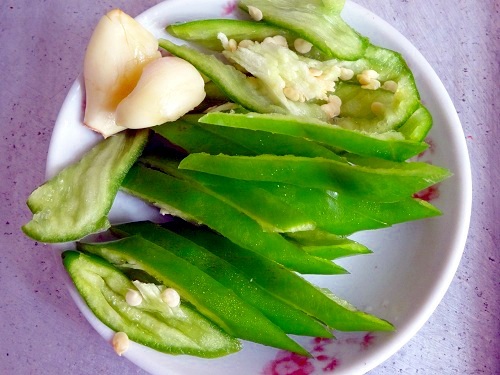 • Add Chinese chilli bean paste for more flavour. • Add water or stock, and cover the lid till the chicken drumsticks are fully cooked. 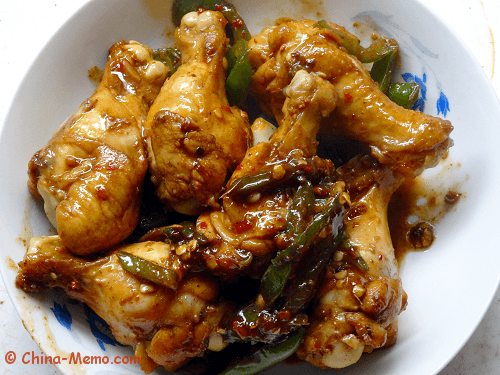 If you like this spicy chicken drumsticks, you may also like my other Chinese Chicken recipes on this web site. Click the pictures or recipe titles to see more details.